Facebook is a social networking service and website launched in February 2004, operated and privately owned by Facebook Inc. As of February 2012, Facebook has more than 845 million active users. Facebook was founded by Mark Zuckerberg with his college roommates and fellow students Eduardo Saverin, Dustin Moskovitz and Chris Hughes. The Web site's membership was initially limited by the founders to Harvard students, but was expanded to other colleges in the Boston area, the Ivy League, and Stanford University. Mark Zuckerberg wrote Facemash, the predecessor to Facebook, on October 28, 2003, while attending Harvard as a sophomore. 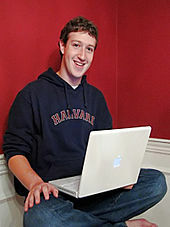 According to The Harvard Crimson, the site was comparable to Hot or Not, and "used photos compiled from the online facebooks of nine houses, placing two next to each other at a time and asking users to choose the 'hotter' person".To accomplish this, Zuckerberg hacked into the protected areas of Harvard's computer network and copied the houses' private dormitory ID images. Harvard at that time did not have a student "facebook" (a directory with photos and basic information), though individual houses had been issuing their own paper facebooks since the mid-1980s. Facemash attracted 450 visitors and 22,000 photo-views in its first four hours online. He opened the site up to his classmates, and people started sharing their notes. 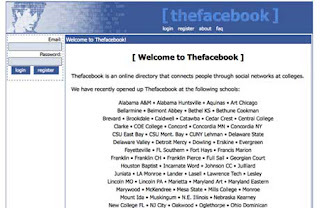 The following semester, Zuckerberg began writing code for a new website in January 2004. He was inspired, he said, by an editorial in The Harvard Crimson about the Facemash incident. 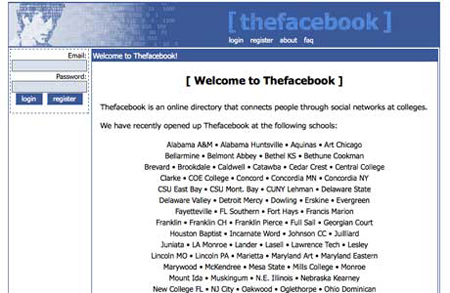 On February 4, 2004, Zuckerberg launched "Thefacebook", originally located at thefacebook.com. 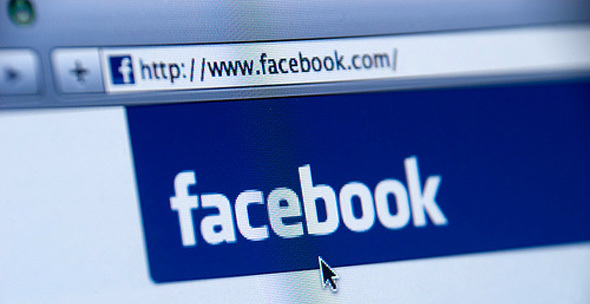 Now Facebook is a big social networking site. Now Facebook have 845 million (active December 31, 2011) users. It have 2nd rank in Alexa.